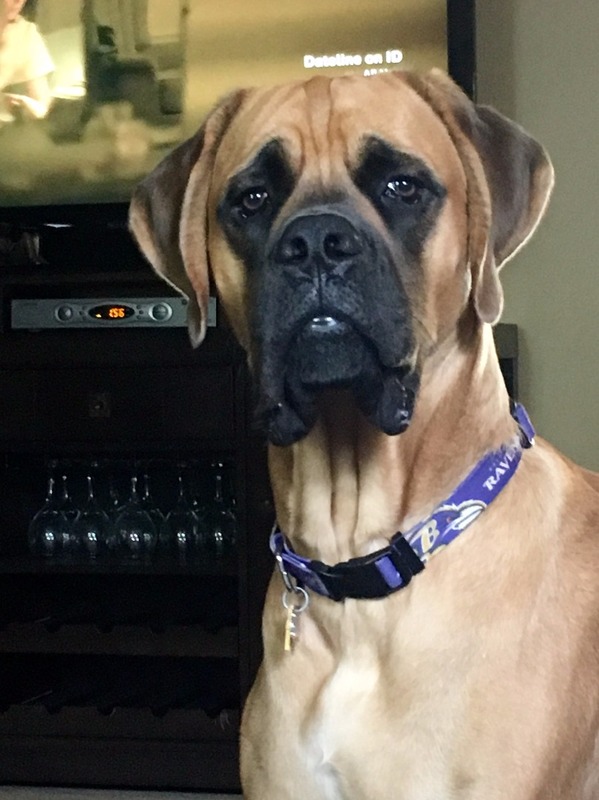 Skiddish Around People - This Forum is brought to you by The Mastiff Sweet Spot and Friends of the Forum. Unitas is such a sweet friendly pup (9 months old). In the past several months he's become so afraid of people. We've always have been around him when others are around so there hasn't been any trauma to him. We just got back from a walk and passed others walking their dogs. He's great with other dogs, but as soon as a person goes to pet him he jumps back. When a neighbor went to pet him he peeded and then he jumped back when he saw a shadow. It's so strange. When in the house he's the same way and will eventualy let people pet him, on his terms. Is this normal or has anyone else experienced this? You've come across the most common temperament problem with Mastiffs, shyness. If anyone says they have never had a shy Mastiff, I will say they haven't had many Mastiffs.Typically it comes on between six months and a year. In most cases the dog is perfectly fine with the family and fine with other animals, but shows a fear reaction to strangers. Does it go away? It can do, but don't count on it. It seems like you have done what you can by taking your dog to places where he can meet people, and constantly trying to force your dog into situations where he is uncomfortable is not kind. If he is not too stressed, keep taking him out into his second year when his hormones may settle, but if that doesn't happen, you will still have a fine house dog. I have more than one like that who have lived happy lives. Thanks for your feedback. Makes me feel better! At the dog park, he'll go up to people, then run when they tried to pet him. Most that know him now will wait for him to approach them. He is the GREATEST boy. My day is made every day I return home from work. He has a great personality. We really got lucky with him. Thanks for letting me know! I'll definitely check it out!